Thanks everyone for your great support over the years. We are proud to be a family run business serving our local community. We do our best to shop locally, and to support local businesses and community organizations. And we will continue to provide you with the great customer service you have come to expect. We can supply your brewing needs, whether you brew wine, beer or spirits. We also offer our brew on site service if you would like to brew your wine with us. No mess, no fuss — you just sprinkle the yeast to get started, and then come back to bottle your wine when it is ready. Note: These specials cannot be combined with any other in store discounts. Get 10% off any regular priced wine kit with the purchase of your new Starter Kit! If you dont have your Customer Appreciation Savings Card yet, pick yours up today! A full card equals $10 off your next regularly priced wine kit. Drop in for details. Just one more way we want to say Thanks for your business! Come in and find out how you can save all year long when you brew your wine with us. And membership is free. For more information on Brew on Site, drop into the store, give us a call or check out our Frequently Asked Questions. Heres how it works: Fill in your information and pass the card on to a friend. Well give them 10% off their first regularly priced wine kit and well give you $5.00 off your next purchase. Pick up your referral cards today! The Coal Shed Music Festival is a summer music event created as a fundraiser for the Yarmouth Food Bank and local school breakfast programs. Local artists entertain on the Yarmouth waterfront. Admission is free but donations are accepted for these worthy causes. 2019 marks the 13th year for the Coal Shed Music Festival. Whatever your taste in music, there will definitely be something for everyone and the event is for all ages. Come out to support the Yarmouth Food Bank and school breakfast programs and enjoy some amazing music at the Coal Shed Music Festival. Call (902) 749-1360 for details. Click on image below to enlarge it. For all of you who have been buying your wine making and beer brewing supplies in Yarmouth for a while, you know that the quality and variety of brewing kits has never been better. 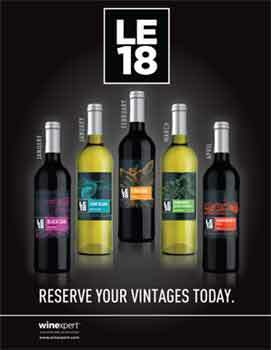 Award winning wines are now being produced that rival anything on the market, and all at a fraction of the cost. At the Yarmouth Brewing Centre our aim is to provide our customers with the best wine making kits and beer brewing kits and supplies available today. 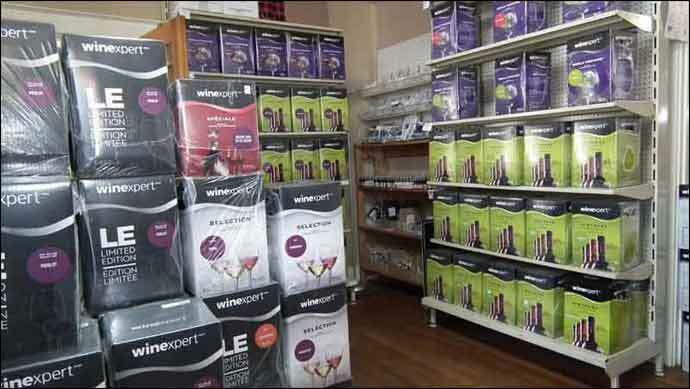 Drop by our downtown Yarmouth location, where you will find your favourite wine kits. If you have a wish list for something then please let us know. Brewing your wine has never been easier, especially when you brew it at your local urban winery. You pitch the yeast, leave the brewing to us, and then return when it is ready to bottle.